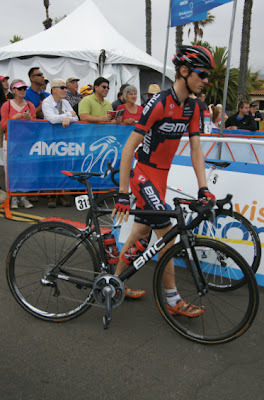 Tejay van Garderen is the real deal! Cameron Meyer had an incredible ride and moved up the overall General Classification (GC) from 7th to 3rd, Frank Mathias moved from 8th to 4th on GC. The rest of the top-10 in the General Classification (overall race leader) did not change order significantly, however the time gaps increased considerably. 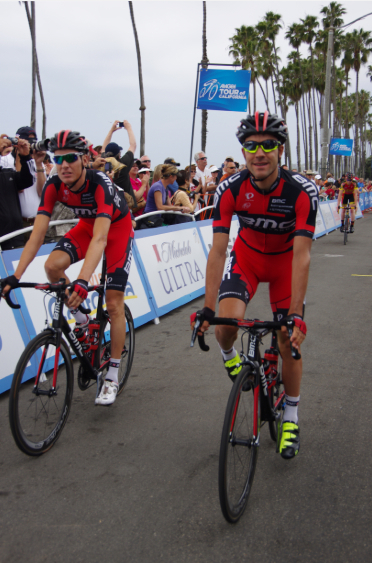 Tejay van Garderen dusted the competition, widening his yellow jersey lead by 1'47". 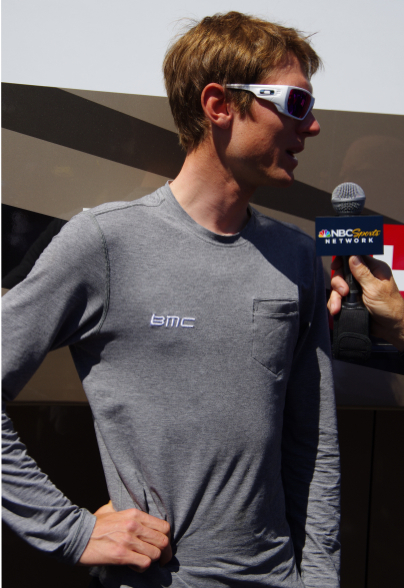 Michael Rogers gave a gutsy performance and earned the Most Courageous rider jersey for the stage. 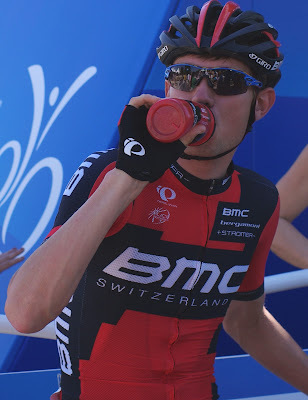 Tejay van Garderen not only retained his yellow jersey, but earned that jersey all over again today. I was not at the stage today, having returned to Colorado where I will resume watching the Giro along with the Tour of California. Please read the race report and see the incredible photography of one of my all-time favorite moto photo journalists (a man who works very hard at these races while hanging onto the back of a motorcycle): Darrell Parks for Pez Cycling, Tour of California, St.6: It’s Time Trial Time! 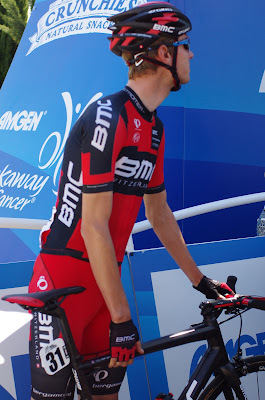 Tejay van Garderen rode his race without full communication with his team, at the press conference after the race, he stated, “It didn’t really make a difference. I had my SRM so I knew what power I needed to shoot for. Sometimes going without a radio, if you’re in the right mindset, you don’t need it. You have tunnel vision. Sometimes it’s nice to hear time splits of others on the road but sometimes you don’t want that. So the radio didn’t play into it much.” All the technology in the world and it still comes down to one man and his bike. The shocking news of the day came when we all learned that Dave Zabriskie had fallen out on course during a warm-up ride, fracturing his clavicle. 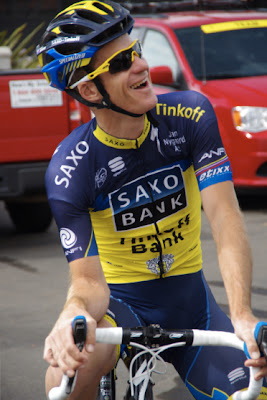 He will not be able to compete in the upcoming national time trial championships on May 25th, a race he has won 6 times. The news bummed me out, and I am sure plenty of other fans as well who have become accustomed to his Captain Marvel skinsuit. 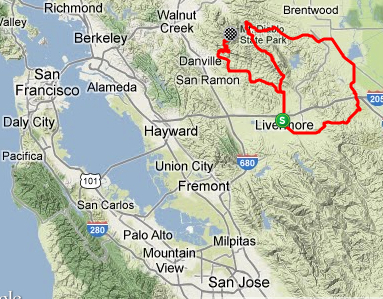 I eagerly await the ITT of the Tour of California every year just to see how Dave Zabriskie can perform against the clock. I hope DZ heals well and fast. 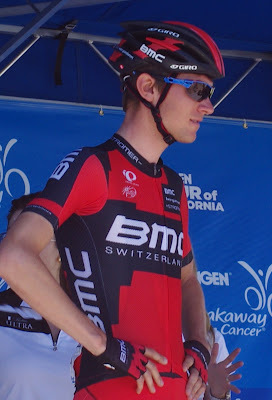 At the initial press conference in Escondido before the 2013 Amgen Tour of California started, Tejay van Garderen told the crowded room that his personal prediction for overall race leader in this year's race included Michael Rogers, Francisco Mancebo, and Dave Zabriskie. I am so sad to see Dave Zabriskie out of the race, but from now on, I am listening whenever Tejay makes predictions, he was closer than all the other pre-race analyzers. I'd say he is a good tactician and one smart bike racer. See full Stage 6 results on the Amgen Tour of California official website, and read and article on the official ATOC website, Van Garderen Triumphs on San Jose Time Trial Course and Increases Overall Lead in the 2013 Amgen Tour of California. Read: Mixed equipment choices for riders in San Jose TT CyclingNews, some riders chose to change out to road bike frames for the final climb up the hill, stage winner Tejay van Garderen remained on his time trial bike. 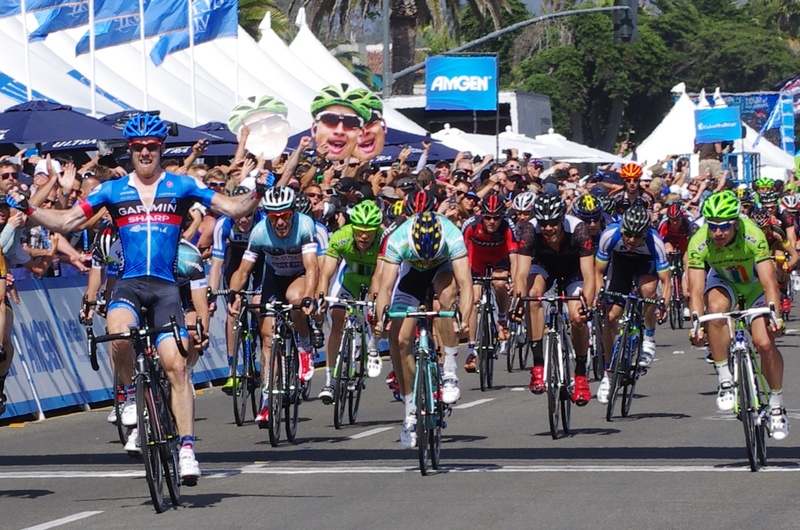 Michael Rogers, Saxo Bank-Tinkoff, Australia, 1'47"
Cameron Meyer, Orica-GreenEdge, Australia, 2'57"
Mathias Frank, BMC, Switzerland, 3'21"
Janier Acevedo Calle, Jamis, Columbia, 3'31"
Matthew Busche, RadioShack Leopard Trek, USA, 3'33"
Francisco Mancebo Perez, 5-Hour Energy, Spain, 4'26"
Philip Deignan, United Healthcare, Ireland, 4'52"
Chad Haga, Optum, USA, 5'02"
Lawson Craddock, Bontrager, Australia, 5'04"
TOMORROWS STAGE 7 - Mt Diablo!! Estimated Finish Time: 3:48 p.m. I have now completed the 2013 Cruisin' California series for the Tour of California, but will continue with race Results through Stage 8. And yes - I wish I had remained in California at the race. There is always 2014! Looking Back at Pedal Dancer at the Tour of California 2013 - and a fantastic week playing tourist and fan in California. Thanks for coming along on the adventure!